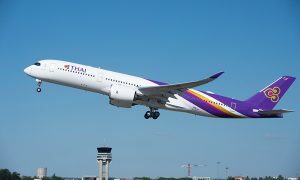 Boeing announced an exclusive pilot training agreement with Thai Airways International that will provide training for nearly 50 crews by the end of the year. 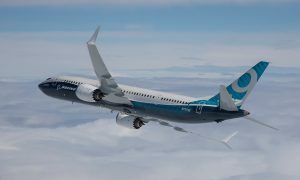 Under the agreement, Boeing Flight Services, a business unit of Boeing Commercial Aviation Services, will provide flight training for THAI’s 787-8 fleet at Boeing’s Singapore campus. “THAI’s customers demand and deserve the highest quality service, which is why we chose Boeing Flight Services to train our pilots as we grow our 787 fleet,” said Capt. Parinya Ounrean, Director, Flight Deck Crew Training, THAI. Bangkok-based THAI took delivery of its sixth 787-8 in August with two 787-9s to be delivered in 2017. The Asia region also leads the demand for new commercial airplane deliveries over the next 20 years. By 2034, 14,330 new airplanes worth $2.2 trillion will be needed, according to Boeing’s 2015 Current Market Outlook. 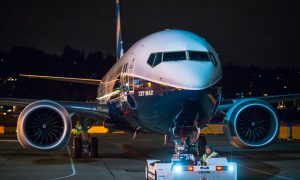 By providing commercial aviation services, such as pilot training, Boeing provides customers a competitive advantage by solving real operational problems, enabling better decisions, maximizing efficiency and improving environmental performance.